"The kids love this one!" Being a Star Wars fan is easy. The only real prerequisite is that you need to have at least seen the movies and be willing to call yourself a fan. That's it. But let's be honest, not all Star Wars fans are created equal. 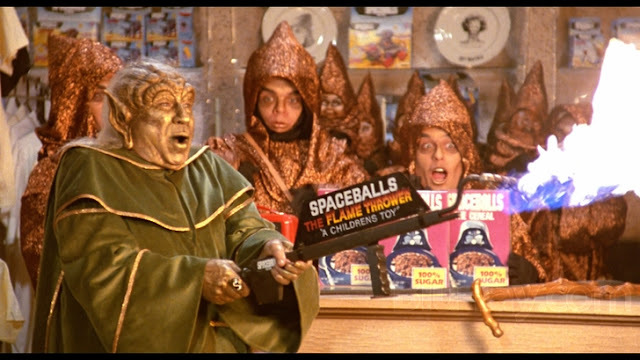 That one guy you know who can't tell the difference between Admiral Ackbar and "allah akbar" probably isn't much of a Star Wars fan. 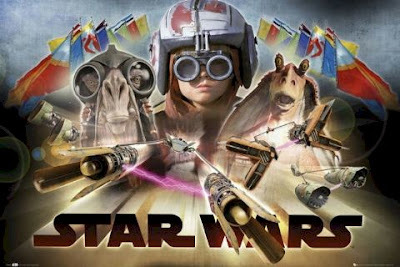 This article series is meant to help any Star Wars fan not just improve their nerd cred, but also take their love of the universe to the next level. My second tip for becoming a better nerd is all about Star Wars merchandise. The first thing I need to clear up when it comes to Star Wars goodies, however, is that being a better fan does not simply mean buying more Star Wars stuff (though, you can never really have too much Star Wars am I right?). 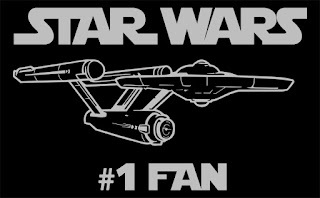 Even if you don't own a single bit of Star Wars merchandise, you are no less a fan than anybody else. What I mean when I say "be a better Star Wars fan," is that you are improving upon yourself. 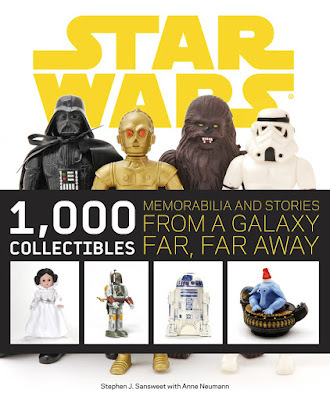 If you were an amazing fan before owning any Star Wars stuff, then you'll be an amazing fan +1 after owning some. So let's get to the point. 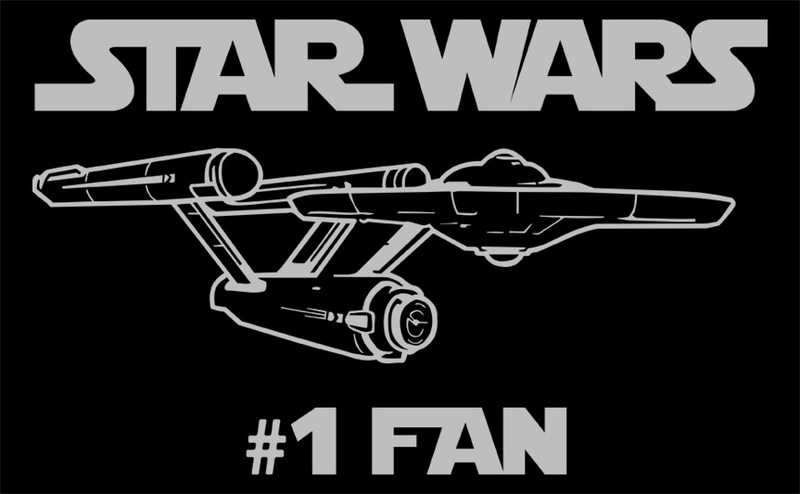 What sort of Star Wars merchandise makes for being a better fan? Essentially, it comes down to two points. 1) Can you show off your sweet piece of Star Wars? 2) How useful is your Star Wars gear? For the first point, I think it goes without saying that being able to show off your Star Wars merchandise is important. As a fan myself I love it when strangers ask me questions about my Star Wars collectibles and I think that any fan wanting to up their game would do well to grab some Star Wars gear that's easy to show off (just don't be in-their-face about it). For example, I own three or four different pairs of Star Wars socks. Unfortunately, most people can't see through my shoes and I've never had someone comment on them before. 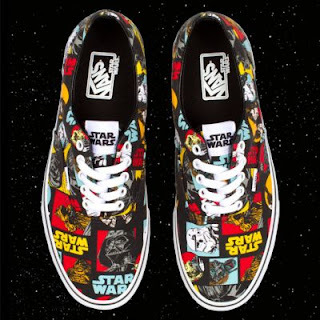 My pair of Star Wars shoes however? That's started more than one awesome conversation. While not everything you can wear makes for great Star Wars merchandise, shirts, shoes and even hats are a great place to start for Star Wars stuff. If it isn't something wearable, however, other great options are things you can display. You can get 11x17 Star Wars posters for relatively cheap online and they come in almost any design. Are you a big Boba Fett fan? There are posters for that. Really like Obi Wan? There have something for that. Or maybe you're a big fan of Pod Racing. They even have posters of that. Not my kind of poster, but hey... To each his own. For the second point, I think it's important to make sure that, if you are getting some new merchandise, you prioritize the stuff that's going to be both cool, and useful. Let me explain. As a collector myself, I own hundreds of dolls and action figures from the Star Wars universe. While I cherish each of my collectible possessions, 99% of these action figures and dolls sit on my shelf and that's it. Considering how much I paid for some of them, that isn't a very good value proposition. If you're trying to improve your fan game by buying some merchandise, you might be better served by finding something that shows your fandom and also fulfills a purpose. Buying things just to look at them can get expensive fast, but if you need an alarm clock already, why not spend a few extra bucks and get a Star Wars alarm clock? Need a new lunch box? There are some sweet ones available online right now. Even if you need a new mouse pad, a few extra dollars can net you something that will support your bolster your nerd cred and fulfill a desired function. So again, I just want to say that even if you don't have a single piece of Star Wars swag that doesn't make you any less of a Star Wars fan. But if you want to be a better fan yourself getting some sweet merchandise can't hurt. Just remember, look for something that you can show-off and that also might serve a purpose beyond being a collectible. Great book. Lots of stuff you probably will never buy inside though. I'd love to hear what you think in the comments below. Was my assessment of Star Wars merchandise completely wrong? Let me know. What would you say is the best way to become a better Star Wars fan?